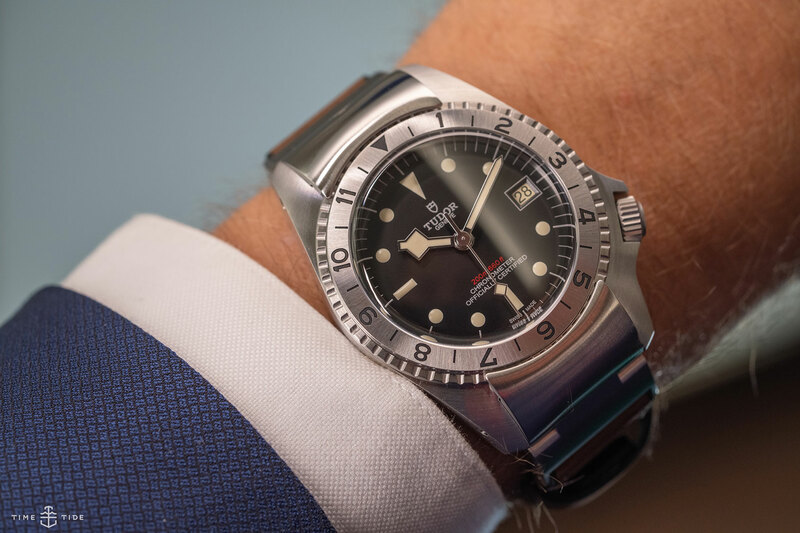 It’s testament to the power and ongoing evolution of Tudor’s blue-chip Black Bay family that our top three picks from Baselworld 2019 are all Black Bays, and also — from a distance at least — look very different indeed. Without a doubt, the most discussed and most genuinely novel watch of the bunch (and perhaps of the whole fair) is the Black Bay P01. While the dial bears a lot of the hallmarks of the Black Bay, the case is Something. Else. Entirely. Long, with a blocky crown guard at four, and a steel bi-directional 12-hour bezel that’s held in place by the articulated bracelet end link at 12. I’m pretty sure absolutely no one saw this coming, and people are taking their time to get used to the concept. I will say though, this watch is very comfy on the wrist. The other two watches are far more conventional offerings. 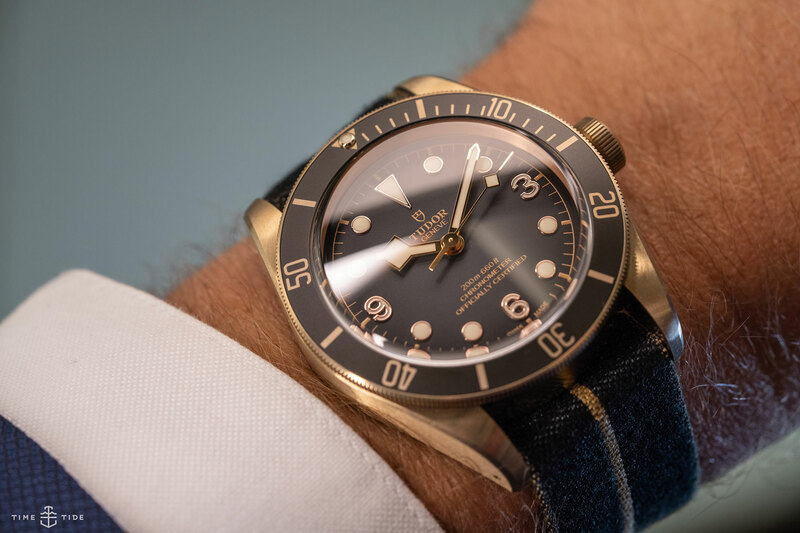 The slate grey-dialled Black Bay Bronze replaces the brown version, and the new colour (and the fact that it’s shaded) certainly adds plenty of drama and contrast to the watch. 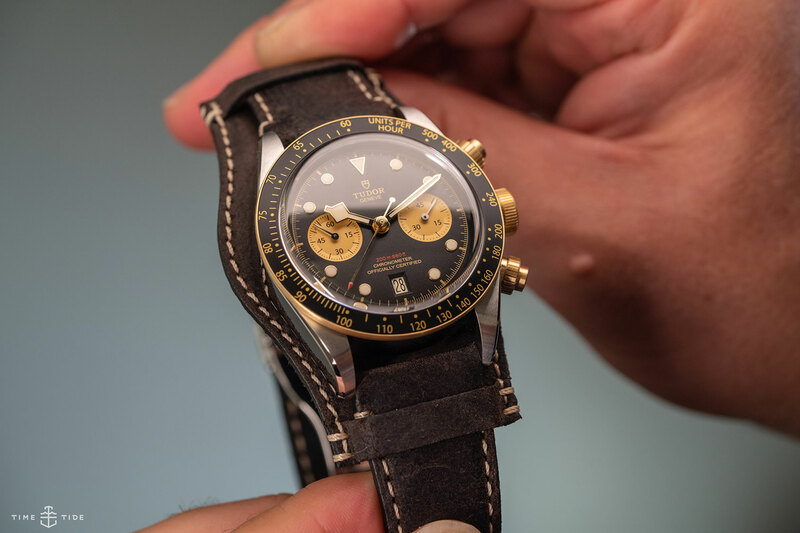 And then there’s the Black Bay Chrono S&G, which adds some flash to the Chrono, and a more sophisticated profile to boot.